50 Days Of Vape - E-Juice Reviews: 'Glacial Cherries', 'Vanilla Ice' and 'Java Junk' Created By Barry Peach. 'Glacial Cherries', 'Vanilla Ice' and 'Java Junk' Created By Barry Peach. Juice Review 12/06/2013 - 'Glacial Cherries', 'Vanilla Ice' and 'Java Junk' Created By Barry Peach. Today I am reviewing three juices. Created By Barry Peach, A member of 'Vapers Unite' Facebook page. This is a written review of all three juices, and my opinion on this juice will be my true and honest opinion as always. The flavours I am reviewing today are all 18mg 50pg/50vg. I am using a triad dripper at 2 ohms on my provari at 4.5 volts. 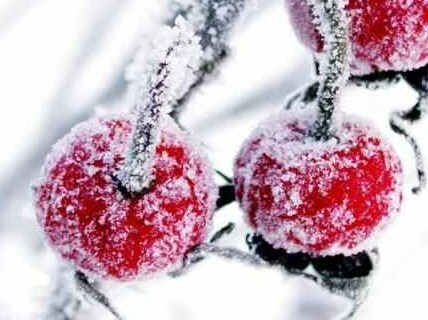 The first juice I am reviewing is 'Glacial cherries'. On opening the bottle, I got an intense aroma of fresh, sweet, juicy cherries. A Juicy, ripened berry fruit, Ultra fresh and alive. On the inhale, the taste of cherries, packed a punch, as it was Light and fresh, with an intense sweetness of not just one cherry, but a mixture of the finest cherries. It was fresh, bold and bursting with flavour, with a great balance and crisp natural acidity. On the exhale, a cool, crisp breeze, heightened my senses, with a great balance of coolant, not a mint or a menthol blast but a chill factor, with koolada giving your senses that breezy coldness which sets this juice off, and an uplifting finish to a perfect all round satisfying vape. Try it, you won't be disappointed. 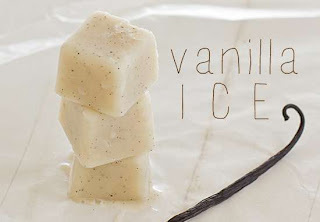 The next juice I am reviewing is 'Vanilla Ice'. On opening the bottle, I got the aromas of a creamy madagascar vanilla or Bourbon vanilla, with the cooling minty freshness of an icy cold menthol, which brightened my senses and set my tastebuds aquiver. Quite mellow on the gentle inhale, but prominent enough to tell me what this juice was all about. On the inhale a sharp blast of cool menthol, with an icy vapour, assaulting my palate, with an incredible thrust to the back of my throat. This was earth shatteringly cool, and what an awesome juice this was. It was a creamy minty explosion in my mouth. One I couldn't put down. On the exhale, an amazing creaminess, overlaps the strength of the cooling of the menthol, giving pleasure to my tastebuds and slipping gently over my lips, with the greatest of ease. Mellow and seductively creamy, a silky smooth Vanilla Cream to relax the palate and bring it back down to earth. Resting every tastebud, gently calming them, until the next breath. Menthol and Vanilla, blend perfectly together, to give a sensational, vaping experience. On opening the bottle, the aromas are sweet and decadent. I could almost sense being in 'Java' a small indonesian island in Southeast Asia, where the Java coffee bean got it's popular name 'Jawa'. 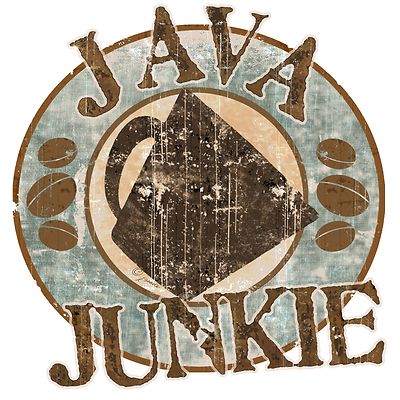 A rich smelling coffee, Jawa refers not only to the origin of the coffee, but is used to distinguish a style of strong, black, and very sweet coffee and this juice had it's strong coffee like characteristics of a good Arabica bean, strong, dark, rich and chocolate tasting. On the inhale a beautifully smooth rich coffee taste. Caressing my palate, not overpowering, just perfect. It reminds me of awakening in the morning and having a caffietere, of perfectly ground, smooth black coffee. On the exhale, the flavours, again, blend perfectly to give a creamy, caramel latte with slight hint of vanilla bean. Not overpowering, sweet but not overly sweet, and just the right balance to carry this juice off. The result is a sensational Java coffee. Rich on the inhale, mellow on the exhale makes this juice top class. It took Barry, as with all of his juices, several attempts and many recipe tweaks, but the results are sensational and his hard work was worthwhile. A wonderful balance of flavours, from the first draw to the last. In a moment of tasting this juice in your mouth, you can taste the difference in flavours. They are, what they are supposed to be, and the deliciousness, is achieved by adding no colourants, and by using natural flavourings in all of his juice creations. All juices have excellent vapour production and throathit with the setup I was using. A beautiful letter comes with every order, explaining what juices need steeped, and what ones are vapeable there and then. He gives you a list of his creations, and tells you a bit about them, although some of his creations are obviously kept a secret, as he is a wizard in his own right. The letter you receive with your order, will also tell you any new flavours that are currently in developement and ones which will be coming in the future. I have one of Barry's new juice creations, called 'Black Betty', which I will be reviewing soon so stay tuned. They are all worth trying. If you would like to try any of Barry Peach's creations, you can contact him through the 'Vapers Unite' Group on facebook, where he will be able to give you a list of his flavours and a run down on prices.